July 1st 2018 by Covenant Communications, Inc.
Eliza Woodhouse has everything a girl could want: a delightful little beachside flower shop, a loving family, and the best friend a girl could ask for. And while she suffers a chronic lack of romance in her own life, the bohemian beauty is a self-proclaimed matchmaker extraordinaire, as evidenced by her recent successes. Having found a fiancé for her sister and a boyfriend for her best friend, she is now taking her lovelorn new employee under her wing. Yes, life is working out quite nicely for Eliza. Until Parker Knightley walks back into her life. After three years in Hong Kong, Parker is in town for his brother's upcoming wedding to Eliza's sister. They've all known each other their whole lives, and Eliza will never be anything but Little Liza Belle to her handsome childhood tormenter. So the fact that their siblings are getting married simply puts Parker one step closer to becoming the big brother he and Eliza have always joked about him being. But the more time they spend together, the more confused Eliza's feelings become. Because she has come to the shocking realization that the role of brother is the last role she wants Parker to play in her life. 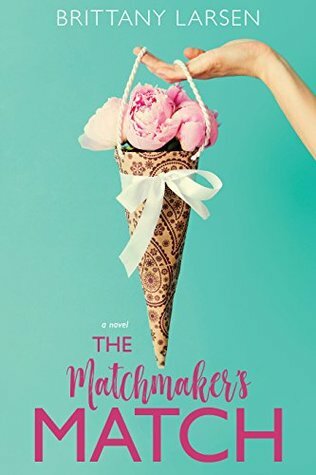 THE MATCHMAKER'S MATCH is a cute modern retelling of Austen's Emma with a heroine who has mostly always gotten what she wants, tries to play matchmaker, and finds that she has feeling for her best friend/faux older brother. She faces some serious growing pains that create an emotional roller-coaster for the reader. There are plenty of nods to Austen's original story, but this one definitely stands on its own. An enjoyable story for sweet romance readers. The characters in this story were a lot of fun! I enjoyed all the different relationships and how close Eliza was to others. She definitely has a small close-knit group of family and friends. Eliza is definitely spoiled. Her father is wealthy and she hasn't had to do a whole lot for what she wants for most of her life. Although, she has worked hard to get a degree and to run her flower shop. She's very much a sweet heart and has a genuinely big heart to go with it. I loved Parker from the start. He definitely played the big brother role well as well as being a great best friend. He did sometimes feel too criticizing of Eliza - I wanted more places where he was there for her or that were swoon worthy (there were some, but I wanted more and more tension growing between them). The story was perfectly, and evenly, paced. A smooth ride from beginning to end with some heartbreak, some sweetness, and a somewhat climatic ending. Eliza's struggle to figure things out and when she is forced to do some self assessment pulled on my emotions and added some depth to the story. I felt like it was fairly well balanced. In the end, was it what I wished for? I really enjoyed this one! 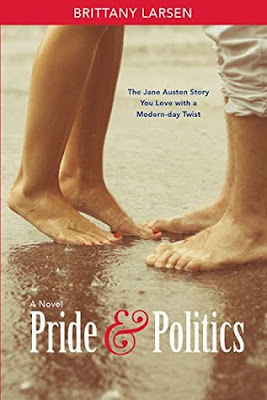 If you're an Austen fan or if you're a sweet romance reader who enjoys stories with likable characters, full relationships, and the boy-next-door trope, give this one a try. 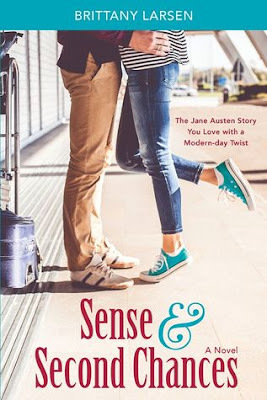 Brittany Larsen writes clean Contemporary Romance–mainly by “borrowing” plots from Jane Austen. She has aspirations to imitate other great authors, but for now is happy putting a modern spin on our favorite romances. Her books include, False Start, Pride & Politics, and Sense & Second Chances. 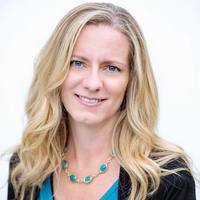 Brittany lives in Orange County, California with her husband, three daughters, one dog, one cat, and various lizards said cat lovingly brings indoors for her.